This is one encounter which both teams are looking forward to. Since both of them are not pitted against an European heavyweights, they sure fancy their chances to make it to the next round, i.e. the quarter-finals. Basel, the current Swiss league champs will take heart from the fact that they emerged into the round of 16 from one of the stronger groups of the championship. Despite losing heavily to group toppers Real Madrid 1-5, their resurgence in a group match with Liverpool whom they beat 2-1 on aggregate will remain one of the highpoints of this season's Champions League. Liverpool were edged out of the tourney and couldn't make it to the round of 16. The Swiss finished second in the group with 8 points. 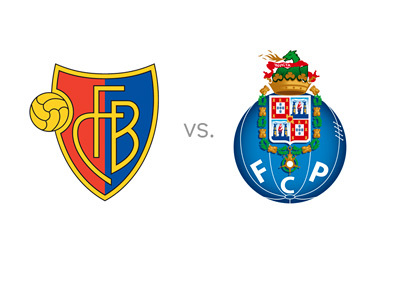 Although well below Real's tally of 18 points, Basel will draw strength from the fact that FC Porto had a much easier group. The Portuguese club topped Group H that consisted of teams like Shakhtar Donetsk, Athletic Club & FC BATE Borisov, which incidentally was the weakest team to figure in the tournament. Basel will be missing two crucial players in the midfield just days before they host Porto at home at St.Jakob Park stadium. Geoffroy Serey Die and Marcelo Diaz have been sold to Bundesliga clubs Stuttgart and Hamburg respectively. But they expect the likes of Luca Zuffi, Fabian Frei and Taulant Xhaka to create attacking opportunities for their main strikers Marco Streller and Shkelzen Ghazi. Streller at 33 is a Basel veteran who has been around with the club since 2007 and has made 199 appearances and scored 91 times for the club. Shkelzen Gash, 26, was signed over from another Swiss club, Grasshopper, in 2014. Since then he has turned out to be a prolific scorer for his side. In his 17 outings for Basel his tally of goals is already an impressive 13, making him the top scorer in the country this season. Basel will depend on this Swiss-born Albanian to deliver the goods against Porto on Thursday. The Swiss club have lost just one match in the 10 matches they have featured in so far during 2015. But their 0-2 loss to a very lowly Eintracht Braunschweig on January 30 and a draw against 9th place Sion as recently as Sunday may have dented their morale a bit going into Thursday's clash. Porto who are the 2nd in the Portuguese league standings after Benfica will be entering the knockout stage of the European Championship for the first time in four years. Since the time Jose Mourinho coached the club to European glory eleven years ago, the Portuguese club's lustre has faded considerably. Porto will depend heavily on their 28-old Colombian striker, Jackson Martinez, whose speed, strength and natural finishing skills may test the Basel defense to the utmost. Martinez has scored prolifically for Porto; 62 goals from 80 matches. Porto have won four of their five matches matches in February scoring as many as 12 goals and letting in just two. Sunday's 0-1 loss to 9th placed Liga club, Martimo, may have dampened their spirits a bit, though.